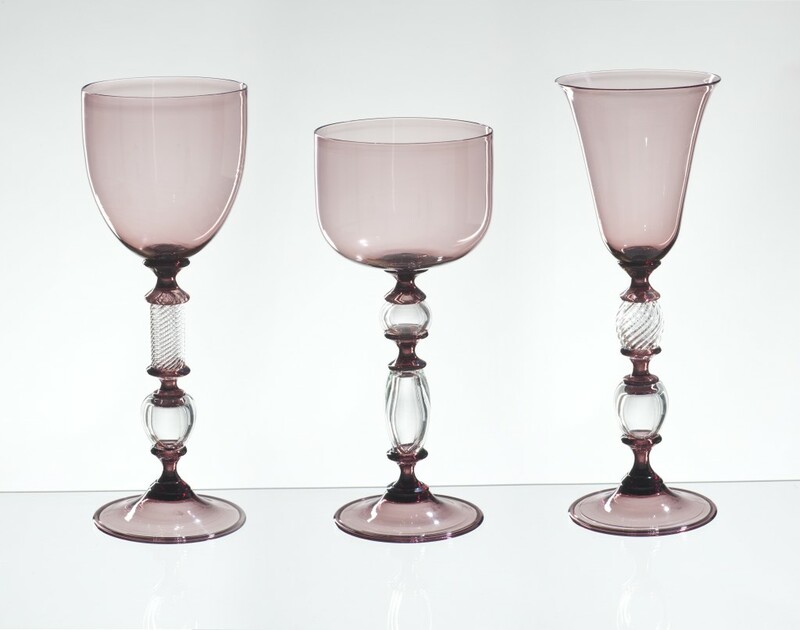 The model of Venetian glass FU 1368 recalls shapes of antiquity and propose a set of wine glasses (water, wine flute) Murano glass shades AMETHYST with the shape of a glass of the most classic of the past. Those items are unique in design, colors and shapes. If you would like more information about the cost of this artistic works by our master glassmakers you can click the request form below.